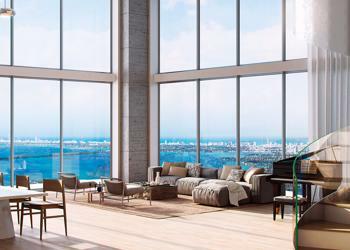 Designed to maximize the pristine unobstructed bay views, Auberge Miami will offer the ultimate luxury living experience. The sophisticated collection of indoor and outdoor spaces allowing one to fully experience sumptuous Miami living at its very best. 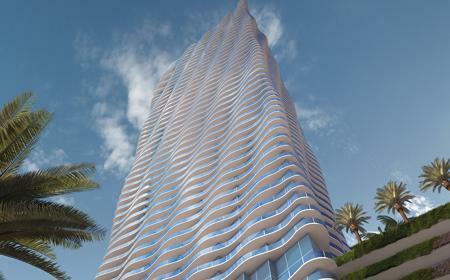 Conveniently located in the center of the city, walking to the performing arts center and Ziff opera house, along with visits to the science and arts museums can be part of your daily life living in Auberge Miami. 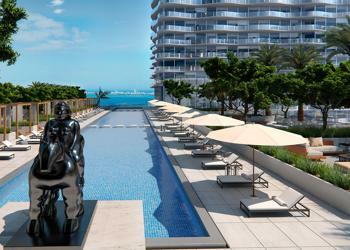 Miami has a wealth of activities to offer year-round. World-class restaurants, shopping, outdoor activities (swimming, biking, boating) and intellectual pursuits (Performing Arts center and Perez Art Museum) are readily available and accessed easily through our expert concierges, and exclusive Auberge membership program. 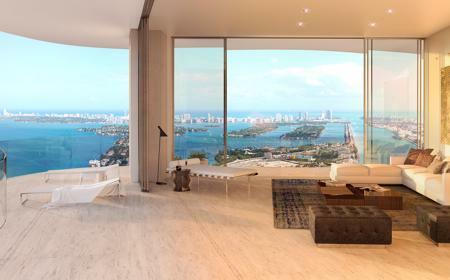 The tower will be 60 stories high, will boast spacious 1, 2 and 3 and 4 Bedroom floor plans with private elevators and foyers, Unobstructed bay views, first class custom Italian kitchens with Sub Zero and wolf appliances and top of the line bathrooms designed by Piero Lissoni. Auberge Resorts and residences operates a timeless collection of luxury resorts and residences, each with its own distinctive character. All Auberge properties are defined by a set of common elements: intimate and understated elegance, magnificent location, and a detailed understanding of high-end services. All of the Auberge resorts and residences are located in captivating destinations throughout world, from the vineyards of Napa Valley Wine Country to the beaches of Cabo San Lucas, Mexico, Miami becoming its newest member.